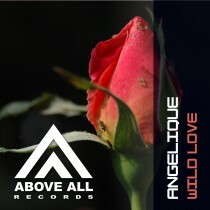 “Wild Love” maybe is a track with an acquired taste but when you really listen to it you definitely will enjoy this original and unique track by Angelique! After the success of “Overcome” which is played by Alex M.O.R.P.H., Giuseppe Ottaviani, Judge Jules and Jorn van Deynhoven “Wild Love” is a worhty follow up to give you the ultimate Trance Experience! Angelique – Wild Love is Exclusive available at Beatport untill 24 March, after then “Wild Love” is also available in all other major downloadshops but also on Spotify!